4k00:07Time Lapse Clouds Formation by Megler Bridge in Astoria, Oregon, USA. hd00:15NEW YORK CITY - MAY 2015: People walking in Brooklyn Bridge Park in front of Manhattan Bridge. Brooklyn Bridge Park is an 85-acre (34 ha) park on the Brooklyn side of the East River in New York City. hd00:13New York - Circa 2009. View of the Manhattan Bridge in 2009. People practicing yoga with the Manhattan Bridge in the background in New york City, New York. hd00:18New York - Circa 2009. View of the Manhattan Bridge in 2009. Wide view of the Manhattan Bridge with people practicing yoga in the forefront in New York City, New York. 4k00:16Frankfurt, Germany, circa 2016. People enjoy recreational bicycle riding and walking by the Main river quay in Frankfurt. 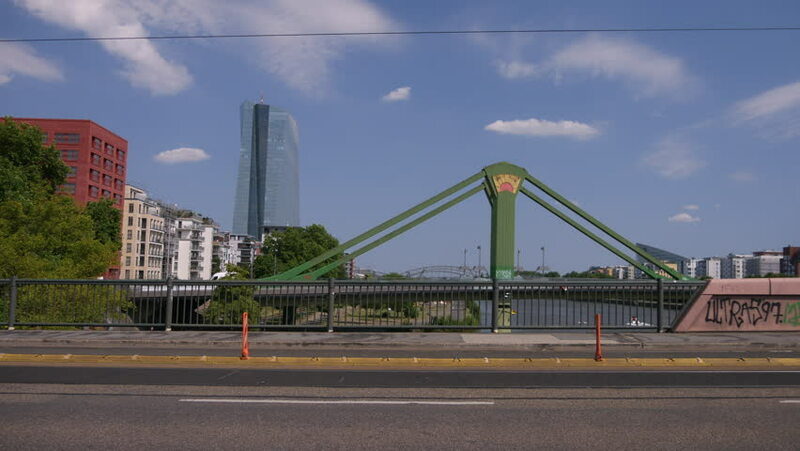 Frankfurt is a large metropolis area of nearly 6 million inhabitants.